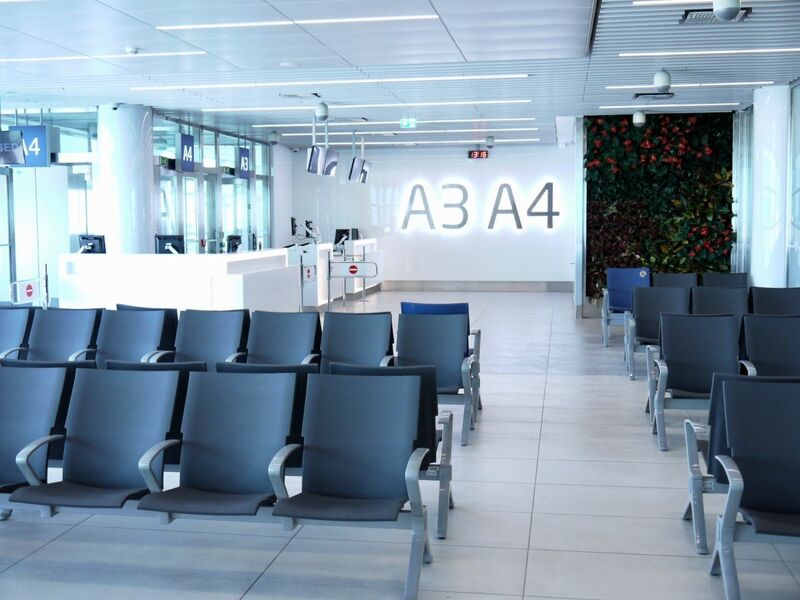 The new waiting area that is immediately connected to the new gate has a maximum capacity of 430 passengers and is connected to three departure gates: A3, A4 and A10. The first two gates use jetways leading directly to the airplane; the third gate is located on the ground floor and meant to service aircraft waiting at distant stands to where passengers are transported by buses. “New aircraft stand and gate responds not only to the growing number of checked passengers, but also to the increasing number of long-haul flights being operated out of Václav Havel Airport Prague. The latest announced one is a United Airlines flight to Newark that will start next June,” says Václav Řehoř, CEO of Letiště Praha. The new stand is part of Prague Airport’s short-term development plans and aimed at increasing the airport’s capacity and contributing to its overall modernization. “This is the last large development project launched for our passengers this year. Nevertheless, we have already started preparation of another development projects, including reconstruction of a new baggage sorting facility and the opening of new check-in counters in both airport terminals, which will be completed next year,” adds Řehoř. Perhaps the most visible change from the passengers’ perspective is the designer interior of the new gate area. It was provided by the Prague office of the Chapman Taylor architect studio. Brand new boarding counters for handling companies were added to the area. The modern interior uses designer elements, such as a dropped ceiling combined with line light fixtures. The gate area also features a modern green wall. Overall, the new area is meant to increase passenger comfort and make the check-in and boarding process more efficient. The project involved the reconfiguration of two older stands and gates for medium-haul aircrafts and cost approximately CZK 158 million. Solution applied in the new gate area is planned to be used in the future for other modernization steps in Terminal 1. The new gate with the waiting area can also be used to service flights operated with wide-body aicrafts. Their number has been increasing at Václav Havel Airport. In August, two new flights operated by long haul aircrafts were announced. In addition to United Airlines, which will start a direct service to Newark in June 2019 with a Boeing B767, Qatar Airways will fly a Boeing B787 Dreamliner on one of their flights to Doha starting October of this year.